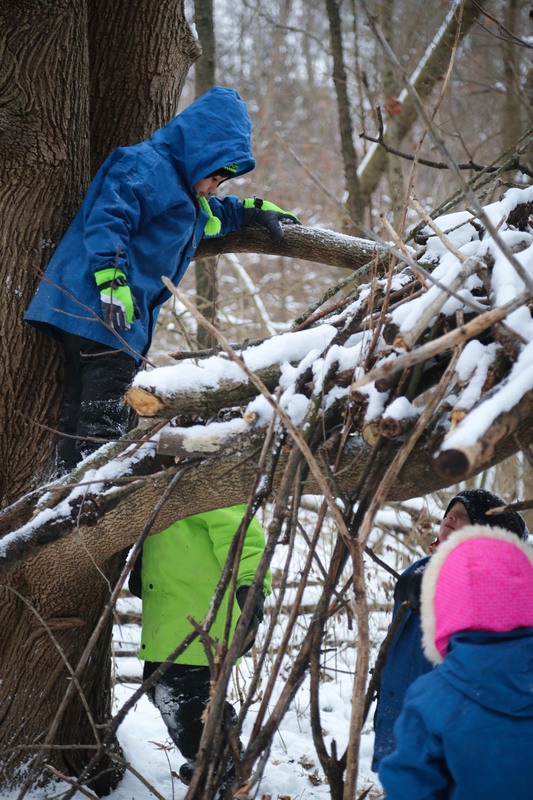 About once a month, 24 students from the Goshen College Laboratory Kindergarten class — a partnership between the college’s education department and Goshen Community Schools — spend the day climbing trees, building shelters and making mud pies in Witmer Woods. While it may sound like the children are given a whole day of recess, the children are actually participating in Merry Lea Environmental Learning Center of Goshen College’s Kinderforest program, the first of its kind in Goshen. Kinderforest is an educational model that prioritizes free play and nature. Instead of spending the day inside, children are allowed to explore the outdoors and observe what is around them. The idea of the program is largely based on immersing children in nature in hopes of forging a love for the environment, and developing in physical, social, emotional and cognitive aspects. The program first started two years ago when the principal of Wolf Lake (Indiana) Elementary reached out to Merry Lea’s environmental education outreach team in hopes of starting a Kinderforest program. 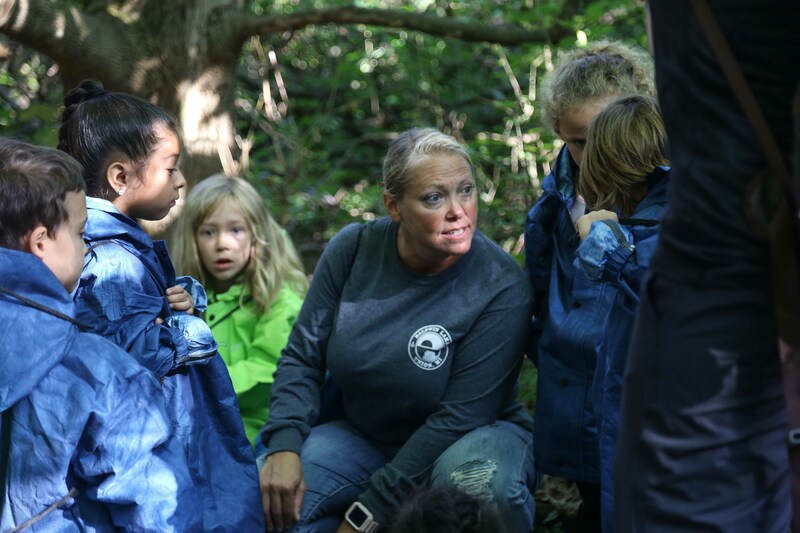 Within that next year, the outreach team worked to research the philosophy behind a Kinderforest program, and implemented the program at Wolf Lake Elementary. Since Merry Lea’s first year working with Wolf Lake, Kinderforest programs started sprouting up within the region. Marcos Stoltzfus, Merry Lea’s director of environmental outreach, said that he wasn’t surprised that so many Kinderforest programs have begun. Several benefits come from Kinderforest programs, Stoltzfus said. Children learn to think critically, they discover a sense of place, they get a sense of accomplishment from doing things on their own. While Merry Lea has developed a Kinderforest program and offers it in partnership with interested schools, the environmental learning center only directly involved with a few schools. 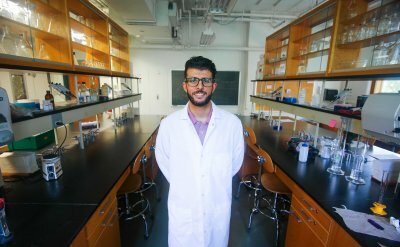 Instead, they offer support and inspiration — which includes supplying schools with further research and resources. It’s Merry Lea’s goal to help each school create a self-sustained Kinderforest program. Jenna Labash talk to her kindergarten class during a Kinderforest day. 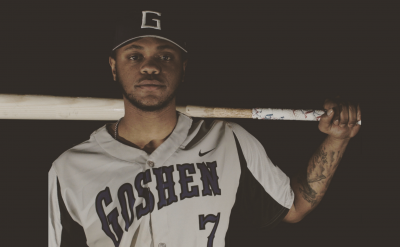 Currently, Merry Lea has supported four different schools in four different districts with Kinderforest programs — including the class on the Goshen College campus. Labash teaches the kindergartners with a play-based curriculum, so the Kinderforest program fits perfectly. For the College Kindergarten class, a normal day of Kinderforest begins at 8:30 a.m. Before the kids go out to play, it’s important that they’re dressed properly. During the winter months, the kids need to be bundled up with snow pants and boots, waterproof gloves and hats. And no matter the season, the kids wear “Frogg Toggs” — waterproof jackets and pants to keep them dry and safe from poison ivy. From there, Labash and Katie Stoltzfus, another environmental educator from Merry Lea, lead the children to Witmer Woods, which is right across the street from the campus and owned by the college. 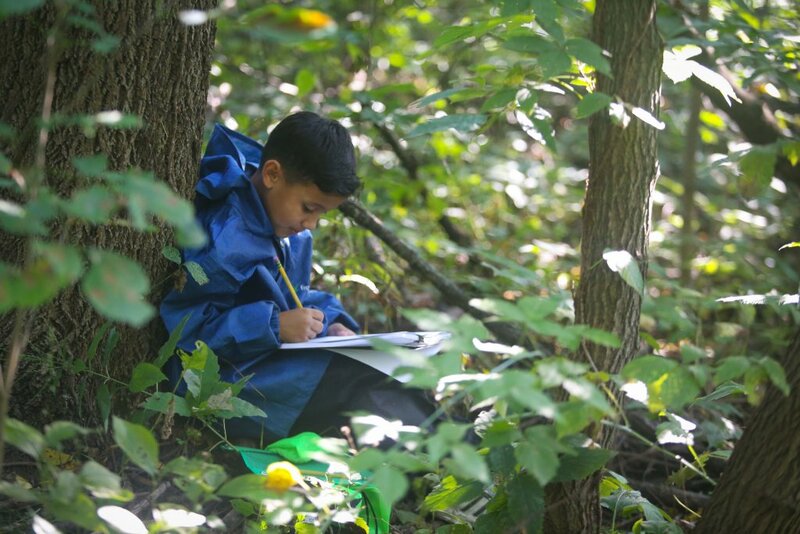 Once the kids arrive, each child goes to their “sit spot” — a specific spot in the woods that the child chose. While at their spot, the kindergarteners quietly journal observations about the environment around them. While it might seem unrealistic to expect 24 kindergarteners to sit silently and write for about 15 minutes, Stoltzfus said that the exercise wasn’t too different from what the kids do in class. After a quick regrouping to talk about what they saw at their sit spot, the kids are released to go explore. For the most part, the kids are free to do what they want — climb up trees, swing sticks around, pick up fallen tree trunks. The children do need to stay in view of an adult and are often reminded to think about safety. 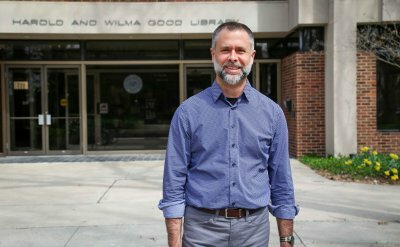 According to Marcos Stoltzfus, research shows that students who engage in “appropriate risk” are better able to evaluate how “ready” they are to take on the next task. “We’re intentionally trying to give them space to develop some resilience and practice skills that sometimes include falling down or scraping a knee,” he said. With an environmental educator along, the children have the opportunity to learn not only about taking risks and learning from mistakes, but also about plants and the environment. At the College Kindergarten, Labash said she’s only received positive feedback from parents and guardians of the children. In fact, parents have taken off work to accompany their children on these day trips. Other parents have supplied Labash’s classroom with the clothing needed to keep the kids warm on trips during the winter. One grandfather went to Target, Walmart and Meijer and bought any and all waterproof mittens he could find, said Labash.